Today is World Book Day so make sure that tonight you put on your favourite onesie and get curled up with a good book!! 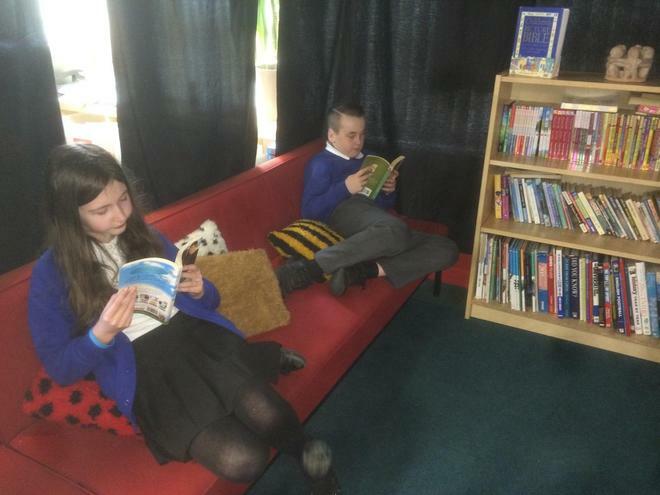 Instilling a love of reading into our pupils is one of Holy Trinity's main priorities this year and we have invested heavily in a new book scheme, the school library and we have developed reading areas in every classroom. Please help us with this by supporting your child's reading at home. On Monday we have Conrad Burdekin, a local author, coming into school to work with the children. We believe that engaging with 'real' authors will inspire our pupils to read and write.